The city of Delaware is in a good place. To arrive at that declaration, one need only look at the continued growth and development coming to the city. And while some may not look at that growth and development as favorably, the reasoning for it is undeniable. The Delaware community is a desirable place for people to live and work, and that signifies a strong community. That strength, for any community, has to start within its local government. Often times, working as a public servant in a municipal government is a thankless job. Much is expected, but not much is equally appreciated. When privileged to call such a strong community home, it is important to acknowledge those who have helped pave the way for such a privilege to be possible. Jackie Walker began working for the city of Delaware as a purchasing administrator and risk manager in the finance department in 1992. From there she moved to serve as the assistant to the city manager, and then to the director of administrative services. Walker was promoted to assistant city manager in 2014 and has served in that role since. Asked how to best describe the title of the assistant city manager, she referred to it as the “alter ego” to City Manager Tom Homan. Upon taking policy from city council, Homan will structure an overall plan. Walker said it is then her job to then ensure that plan is carried out. Although she’s moved up the ladder throughout her career with the city, Walker said she carried her responsibilities from each previous position with her to the next position, while adding the additional responsibilities of her new role. In doing so, Walker said she has been much better suited to serve in her role as assistant city manager because of her knowledge of how the different departments operate. One of Walker’s primary responsibilities through the years has been to serve as the project manager, along with Chief Building Official Jerry Warner, for all vertical construction in the city, which has included the justice center, city hall renovations, the YMCA, the water treatment plant, and much more. Walker said her favorite project to work on was the YMCA because she said she was able to “spread her wings” on something that had a true impact on the health and welfare of the community. During her time in Delaware, Walker hasn’t seen a shortage of growth. When she started, Walker said the city was sitting around 20,000 in population, and Delaware’s now-thriving downtown district was 70 percent empty, she estimated. Along with the City of Delaware, Walker credits Main Street Delaware for much of what the downtown district has become. She added the number of special events Delaware has been able to land, such as the Iron Man competition that Homan was able to secure, has been special to see. Though she has been a part of many great things in Delaware, Walker admits she never envisioned city government as her career path. After graduating from the University of Dayton, Walker said she had dreams of opening her own public relations firm in Chicago. However, after working in public service at the state level, her passion for the line of work began to take hold. With 27 years of service in the book, Walker is ready to move on to what is next planned for her. 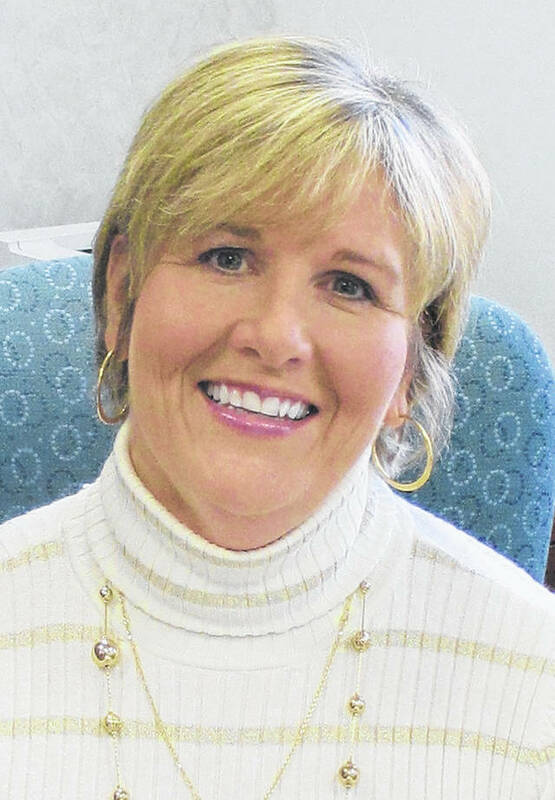 She will retire in July, leaving behind large shoes to fill. Asked what she is looking forward to most about retirement, Walker said she is excited to spend more time with her mother, her husband, and her nieces and nephews. Walker was also recently appointed as the athletic director for St. Mary School in Delaware and looks forward to diving into that role as well. He went on to say Walker is a “wealth of information” on so many platforms in the city, and that she has never hesitated to take on a new assignment or responsibility. The search is underway to find her replacement, which will be a tall task for even the most eager and qualified individual.